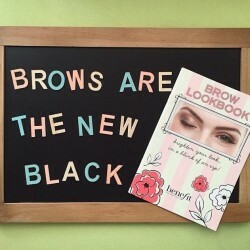 Enjoy and get wow-brows newly furnished Brow Bar at Sephora NEX on 7th January. Grab a benebestie 1-for-1 for brow waxing + receive a FREE Benefit Bubble Umbrella when you spend a min. of $100 inclusive of at least 1 brow product or brow waxing service. See you there. Appointments are to be made prior to service. 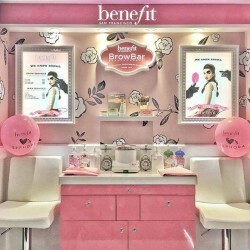 Get wow-brows in no time at their newly furnished Brow Bar at Sephora Vivocity! Grab a benebestie and enjoy 1-for-1 for brow waxing plus receive a special, free full-size gift with every Holiday kit purchased! Available only at Sephora Vivocity Brow Bar Expansion on 26th Nov. See you there! Trends may come and go but great brows never go out of style . To show our brow love, we're extending the one-for-one brow wax promotion to all Benebabes! From 11-15 May, bring your bestie to the nearest Benefit BrowBar Lounge to receive a complimentary brow wax (one is paying and the other is free)! Exclusive offers for their benebabes with the purchase of roller lash & more! Valid at Sephora Ngee Ann City, Sephora Bugis+, Sephora NEX and Westgate boutique only. While stocks last! Good News to chase away the Monday blues! 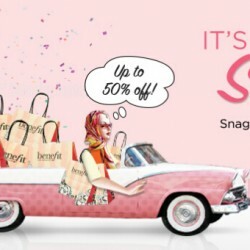 Get goodies from Benefit Cosmetics Singapore when you shop and spend $100 nett at selected Warehouse stores! Valid from now till 30 Nov, while stocks last. 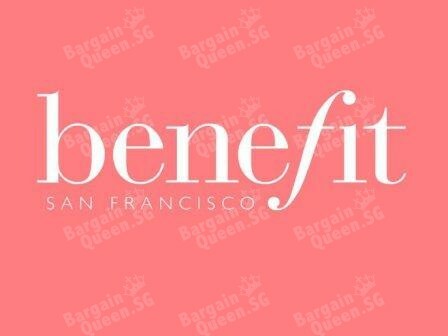 Benefit Cosmetics offers Up to 50% OFF Sale Items. 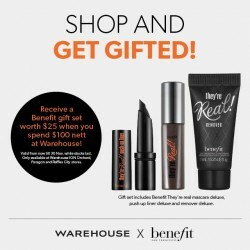 FREE International Shipping with $100 or more. Enter code ”SALEABRATE“ at checkout. 2 free samples with any order. FREE International Shipping with $100 or more with code "SALEABRATE"